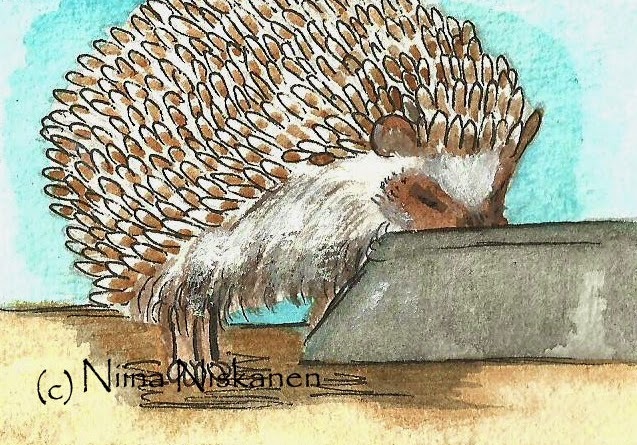 Special thanks to Niina Niskanen for sharing her stories of how animals have inspired her to be a creative artist in this guest post. 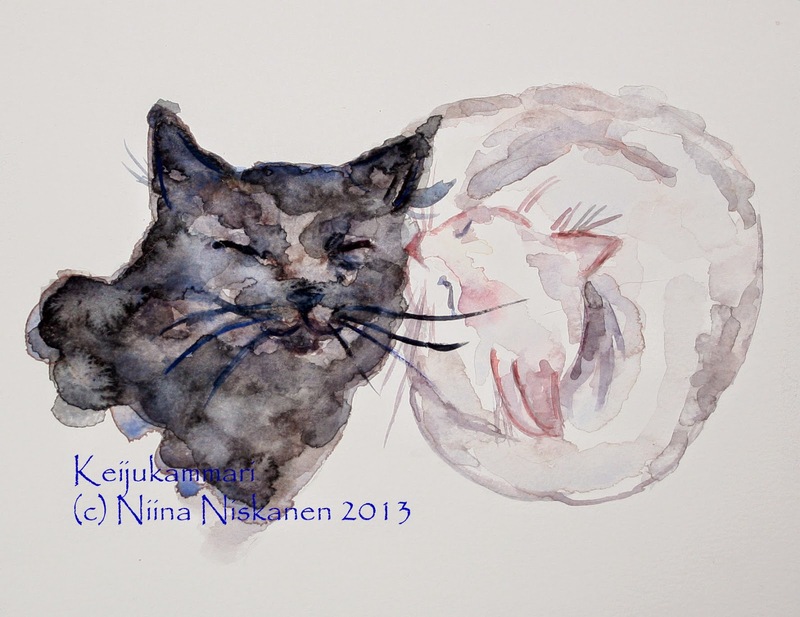 Niina is also sharing several of her gorgeous pieces or artwork with us today. My name is Niina Niskanen. I'm an artist and illustrator. I do comission artwork, pictures for magazines and I paint because of the joy of creating. My artworks are often inspired by animals and I'd like to share some of my stories with you. Back in the 60's when my mom was a young girl, my mother's family lived in eastern Finland. They were moving to the other side of the city. After all the bags and boxes had been unpacked in the new apartment, my grandpa noticed that both the cat and the dog had disappeared. Can you guess where they were? They were in the yard of the old house waiting for someone to open the door. Together, they had walked trough the town and the forest to get there. I heard this story many times as a child and it was always very intriguing for me. That is when I realized the meaning of animals having the "sixth sense". My first cat, Pumpuli, came to us back in 1999. She was my best friend. White, fluffy and social. Noki came a year later. Handsome boy with the kindest nature. Pumpuli passed away last September at the age of 14. It was hard to lose someone so dear who had been part of my life for such long time. After her passing I handled my grief by painting cats with angel wings. Animals have been great source of inspiration since the early days of men. In cave paintings you can see buffalos, bears and mammoths. 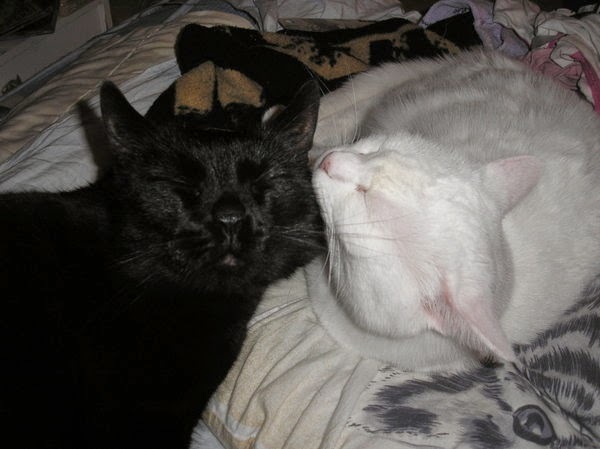 Today dogs, cats, birds and other animals keep us inspired with their nature, humor and companionship. Many famous artists have had their animal companions as inspiration. Walt Disney had a pet mouse called Mortimer, Frida Kahlo had her pet deer Gradizo, and Andy Warholl often painted his dogs, Andie and Amso. I love to create animals with illustrative styles. When you illustrate children's stories, characters usually have some kind of human features and gestures. Some famous examples are characters of Beatrix Potter and Jill Barklem. Last August I was volunteering on a bear refuge in northern Croatia. The theme of our project was "bears in mythology". Luckily I had some free-time for making bear sketches. Observing bears and sharing all the bear stories from mythologies around the globe was such a blast. I was also inspired to illustrate bear myths from my own country. When starting an animal painting or illustration, my process usually starts by getting as many pictures as possible. Today with internet and google search you can easily find thousands of reference photos of animals. If you have a chance to observe animals or pets in nature or at home, it's even better. Let animals give a boost to your creativity! Niina NIskanen is an artist and illustrator living and working in her home-studio in northern Finland. She loves cats, yoga and collecting vintage children books. 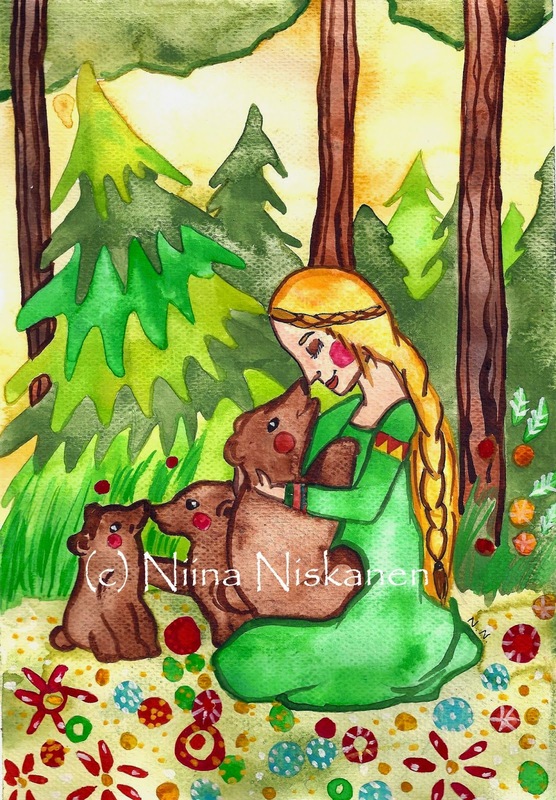 You can keep up with Niina at her blog, Fairychamber and browse her Etsy shop for original artwork. You can also follow her on Facebook. Those are fabulous and sure put a smile on our face. Have a fabulous Friday. Thanks for sharing her story and beautiful art! The love really shines through in the art! 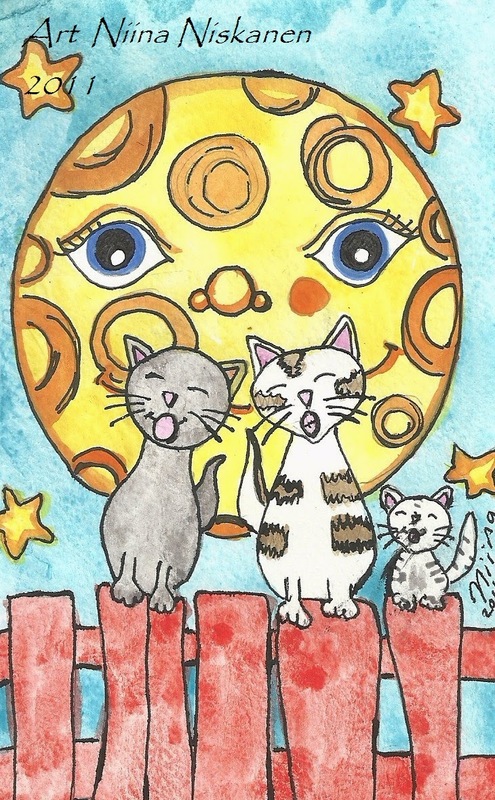 What a lovely story - and we love her art too! Love the story. And the artwork is great. Enjoyed the post.